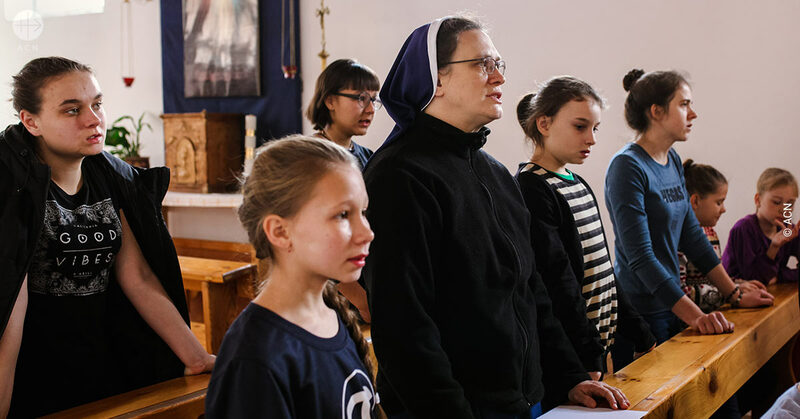 As part of its international Easter campaign in support of the work of religious sisters, the pontifical foundation Aid to the Church in Need (ACN) has collected testimonies from sisters from different countries. This article is the story of a religious sister from Kazakhstan: Sister Vera Zinkovska, born in Shortandy, Kazakhstan – 43 years of age, Congregation of the Sisters of the Immaculate Conception of the Blessed Virgin Mary. Sister Vera’s father was a devout Catholic. During Soviet times, he refused to collaborate with the KGB. For this reason, one day he and two other men – a Lutheran and a Baptist – were summoned by the KGB. They were threatened with harm to their children. Soon thereafter, the daughter of the Lutheran was found dead near Moscow, where she was attending university. Something also happened to the child of the other man. Vera’s parents had just had their first child. It was a girl. One of the baby’s legs was broken at hospital. When the child was treated for pneumonia, she was transfused with the wrong type of blood. The little girl died. The parents wanted to have more children and they were blessed with twins: Vera and her brother, who was born 15 minutes after her. The father was afraid to tell the children about God because he feared that they would suffer the same fate as the first child. In spite of this, both children found the faith and both discovered a vocation: Vera became a religious sister and her brother a priest! Sister Vera Zinkovska, Congregation of the Immaculate Conception of the Blessed Virgin Mary. When religious sisters from the Congregation of the Immaculate Conception of the Blessed Virgin Mary first came to Vera’s hometown for a two-week visit, she was impressed, “This was the first time I had met religious sisters and I really liked them. During Soviet times the teachers had told us that the devout were quite dense and uneducated, basically illiterates. They said that people of faith were the absolute worst. But I saw the joy of the sisters. It impressed me that they didn’t dress up and had no husbands and children and, in spite of this, seemed happy and joyful. From a purely human perspective, one would assume that anyone who doesn’t dress up and have a family would be unhappy. 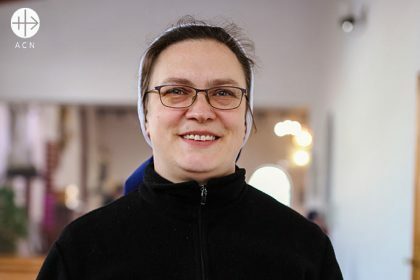 That was the moment when I first thought about becoming a religious sister and living as they do.” After Vera finished school, she went to Poland to learn the language and then joined the order. Sister Wiera Zinkowska doing homework with children. 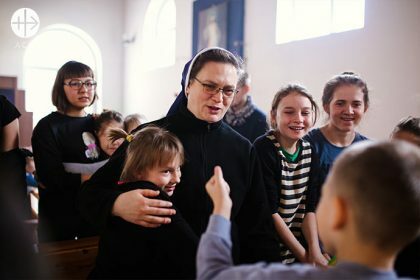 Sister Wiera Zinkowska in church with chlidren. ACN has supported the Sisters of the Immaculate Conception of the Blessed Virgin Mary in Kapshagay many times in the past with funding for the remodelling, expansion, renovation and furnishing of their house and chapel. The organisation continues to help them arrange for visas and spiritual retreats.